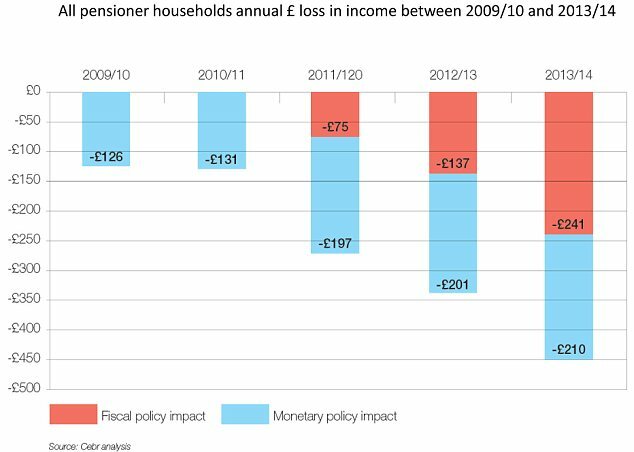 The cost of pension support to the UK exceeds £110bn annually. Expenditure will automatically uplift by at least 2.5% each year (up to 2020) meeting the Tory government “triple lock” commitment to pensioners. Overall expenditure will rise even further, as the percentage of the population grows older. Projections are that £1 of each £6 of public expenditure will be on pensions against an optimal level of £1 of each £10. But how is a £45bn cut in cost to be achieved? Note the “triple lock” commitment ends in 2020, which may signal the introduction of radically revised pension arrangements including the end of the “triple lock” and a further qualifying age rise offsetting the increasing number of pensioners. The influential, Taxpayers’ Alliance (no friend of state pensioners) is lobbying the government hard pursuing a reduction in the cost of pension support, to a level matching the economic reality of the UK’s financial situation and one that does not benefit pensioners to the financial detriment of the working population, many of whom have not had a pay rise for many years. Scottish pensioners and anyone who might be over 60 years old should reflect on the facts that the financial care of pensioners within the UK is not encouraging and a careful study of projected arrangements in an independent Scotland is warranted before casting their vote in any future Scottish Referendum. Did all we pensioners come up the Clyde on a bike, I don’t think so, we are all well aware of May’s government’s intentions. Hopefully the votes of the pensioners will turn the table in favour of independence next time.